It is very rarely one comes across gadget, games, accessories, fun toys or for that matter any modern design created specifically for the blind people. 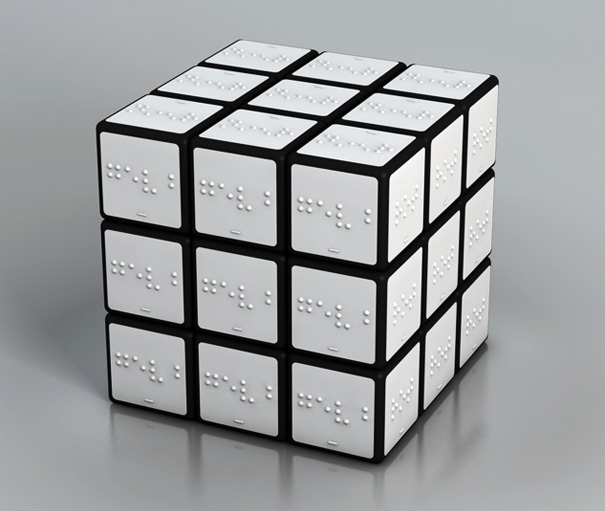 Color Rubik Cube, which has color names embossed in Braille language, is a very sincere attempt by designer Konstantin Datz to create a feel of real rubik cube for the sake of people for whom world is only different shades of black. This Rubik cube will make blind people match colors on each side just like people with vision do. Human vision is over rated in a way for we don’t realize that there are other ways to perceive and reconstruct the world around us. Visually challenged people are like other intelligent people but they have a different perception and they need such challenging and interesting puzzles, games etc like any other normal geeks. This simple design once again proves that one needs only intelligence and patience to solve this age old puzzle which has engaged best of brains for centuries. 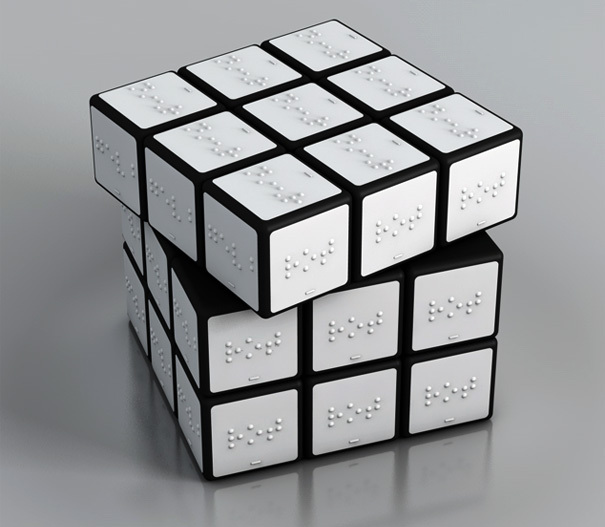 For other Rubik Cube fans this design will be added challenge for they only need to learn Braille and they can tie their eyes and solve it blind too! Rubik Cube fans will also love Google Rubik’s Cube and Qwerty Rubik Cube. Different designs but the puzzle remains as difficult and challenging as ever.